Once Upon a Twilight! 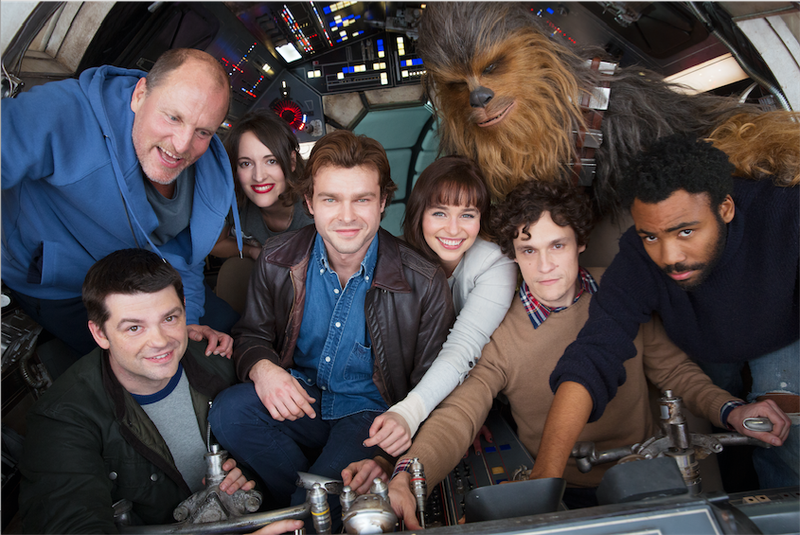 : HAN SOLO - A New Star Wars Story Begins Productions! HAN SOLO - A New Star Wars Story Begins Productions! The adventure-filled past of the iconic scoundrel and everyone's favorite Wookiee is going before cameras this month when principal photography on the untitled Han Solo Star Wars Story officially began February 20th at Pinewood Studios, London. The movie will explore the duo's adventures before the events of Star Wars: A New Hope, including their early encounters with that other card-playing rogue from a galaxy far, far away, Lando Calrissian. "Watching such inspired people from all over the world, with such unique voices, come together for the sole purpose of making art, is nothing short of miraculous," Lord and Miller said. "We can't think of anything funny to say, because we just feel really moved, and really lucky." Crewing the ship will be some of the industry's top talent, including Academy Award nominee for his work on "Arrival," Bradford Young (Director of Photography), Chris Dickens (Editor), Dominic Tuohy (SFX Supervisor), Rob Bredow (VFX Supervisor) and Brad Allan (Action Designer).